to provide outstanding patient care, and that we value the trust you have placed in us. 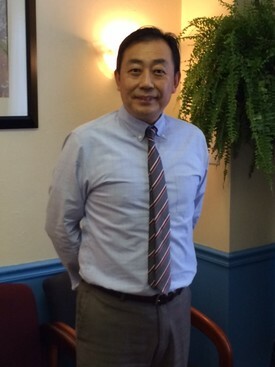 Dr. Hong Ni is a graduate of the University of Pennsylvania and has previously worked at UPenn Dental School and the Veterans Affair Hospital of Philadelphia with over 20 years of experience. Dr. Ni works with adults and children, and has extensive knowledge in cosmetic dentistry, implants, TMJ therapy and full mouth reconstruction. Dr. Ni currently works in Clemonton, New Jersey and Philadelphia, Pennsylvania. All of his patients know him as a caring, and a charismatic dentist; he has helped many patients regain their self-confidence by giving them a reason to smile. Dr. Hong Ni is married with two children residing in New Jersey. He loves to spend time with his family and attend his children’s activities on his free time. 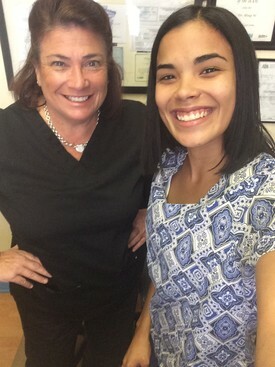 Terri is our super friendly and knowledgeable Dental Assistant that turns all the frowns upside down! Patients of all ages love Terri and her jokes, currently, her job responsibility is overall management to support our office practicality under our new management system. She makes us all feel comfortable and happy. She has been in this field for almost 40 years. Terri resides in New Jersey with her family and little pup. Brittny is our multi-tasking expert with over 5 years of experience in our fast pace office. She energetically splits her time and support our Philadelphia as well as our Clemonton, New Jersey office. On her free time, she enjoys being with her daughter and spending time with her family.